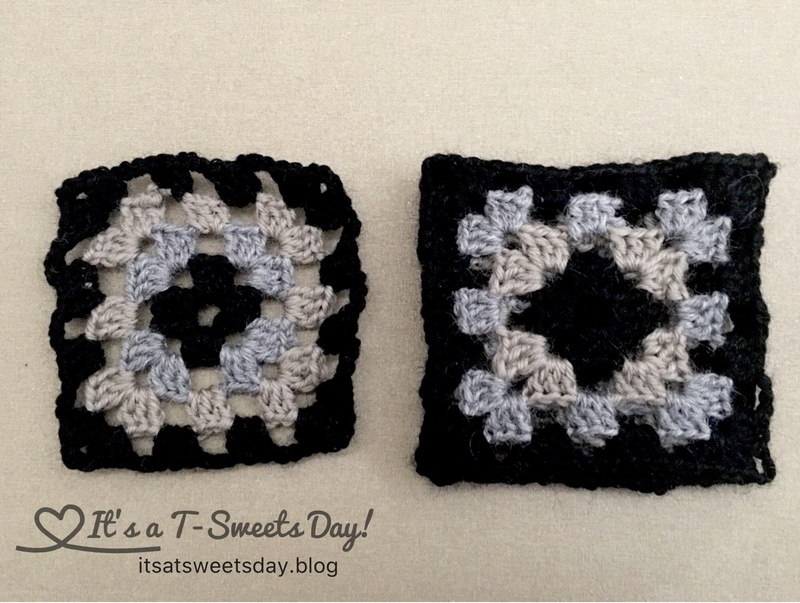 A Granny Square Skirt – It's a T-Sweets day! 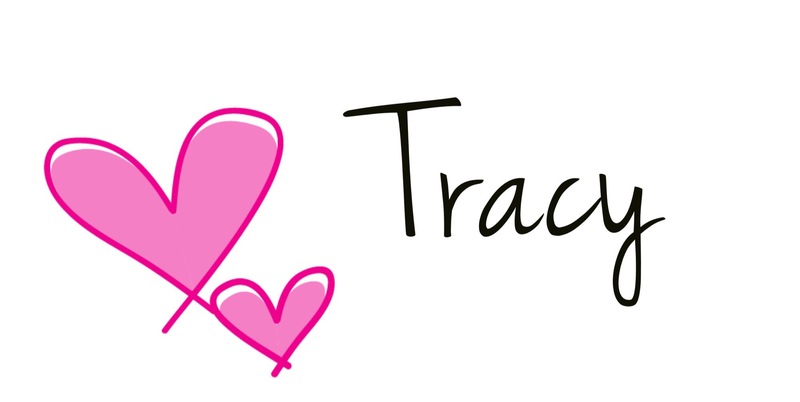 Published on January 13, 2017 January 13, 2017 by Tracy @ It's a T-Sweets Day! 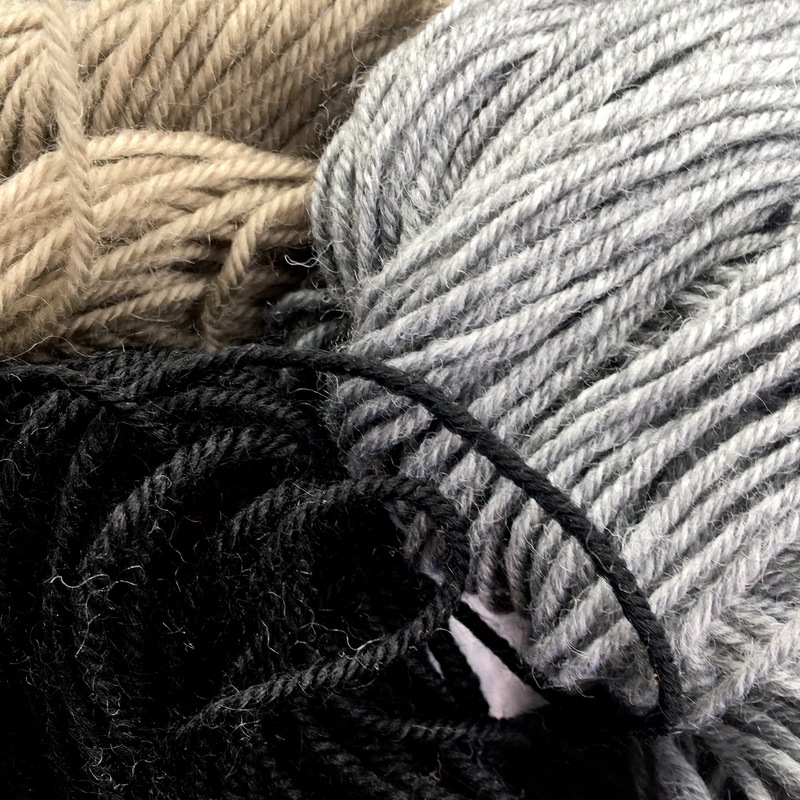 I bought some wool yarn in Israel, but I had no project really planned for it. I have had a hard time deciding what to make with it. 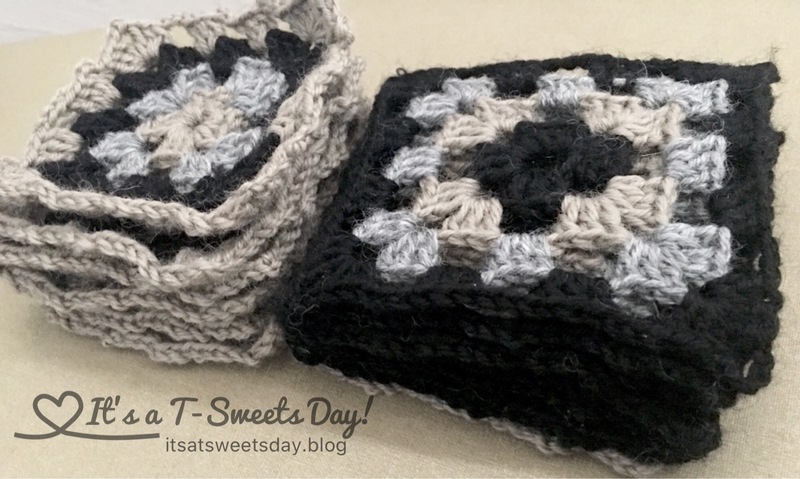 I started a few pot holders, but they just didn’t feel or look right. 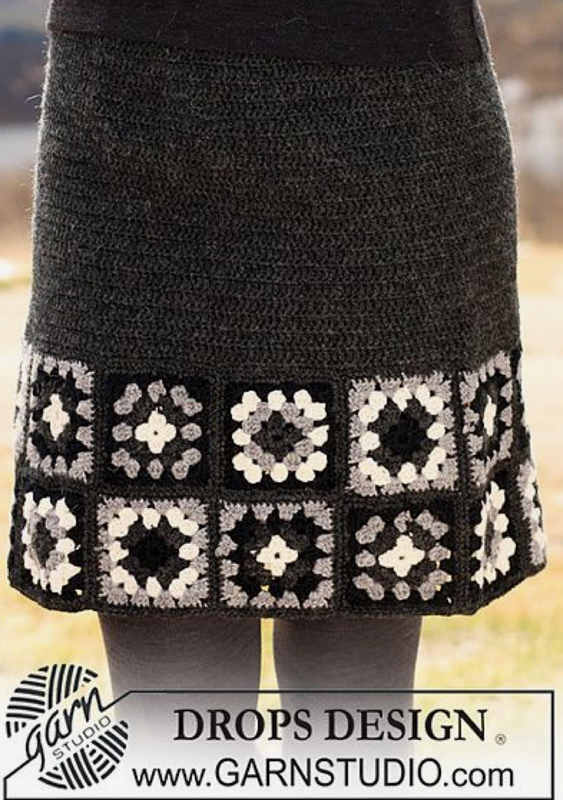 Then I saw this fantastic skirt pattern on Pinterest and knew that this was my yarn’s fate:)! I started stitching right away. 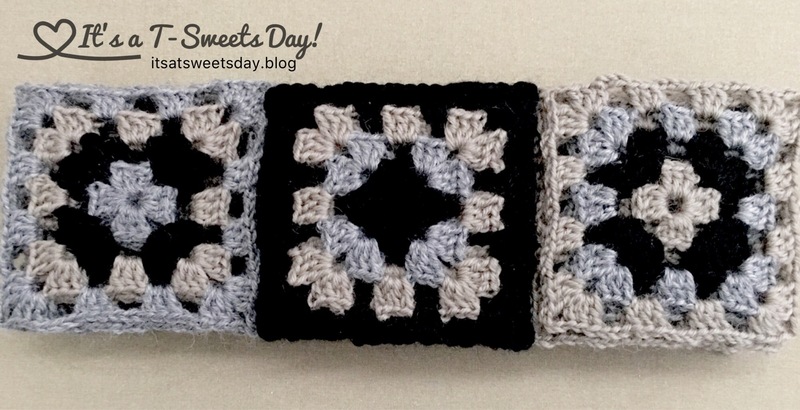 But I ended up not using the pattern. I just started crocheting up grannies. I made 28 of them with a few extra just in case. The thing about grannies is that there is a huge amount surplus of hanging tails. It took me a few evenings just to weave them in. But I really don’t mind. 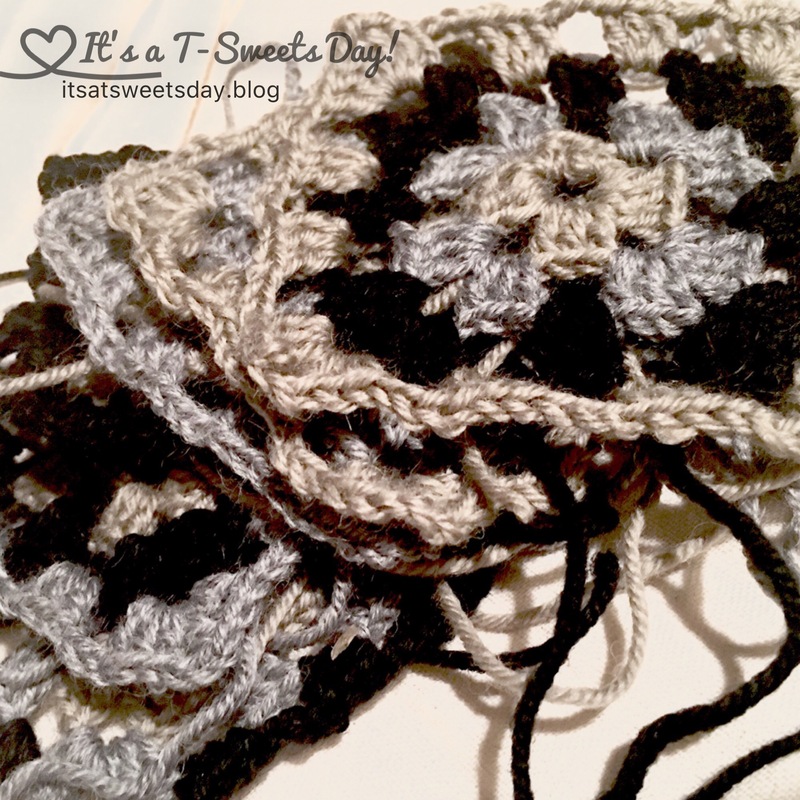 It is a relaxing evening activity:) I think it is prettier and stronger than trying to crochet them in as I sew. Following the weave-fest, I took my blocks to the ironing board and set up a needle block station. Someday I may invest in a real blocking station, but I always forget until I am ready to block and I don’t want to wait. The needles work fine for me. 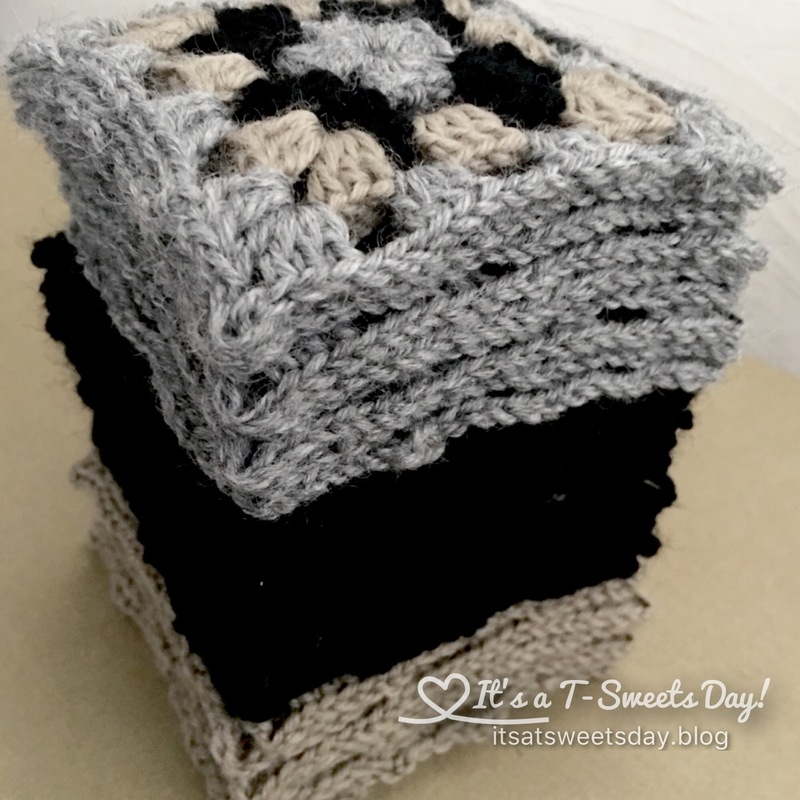 I just stretched the block nice and square and placed the needles in at an angle and then steam burst the block without actually touching the iron to the yarn. I let it cool a bit and then gently removed the block. 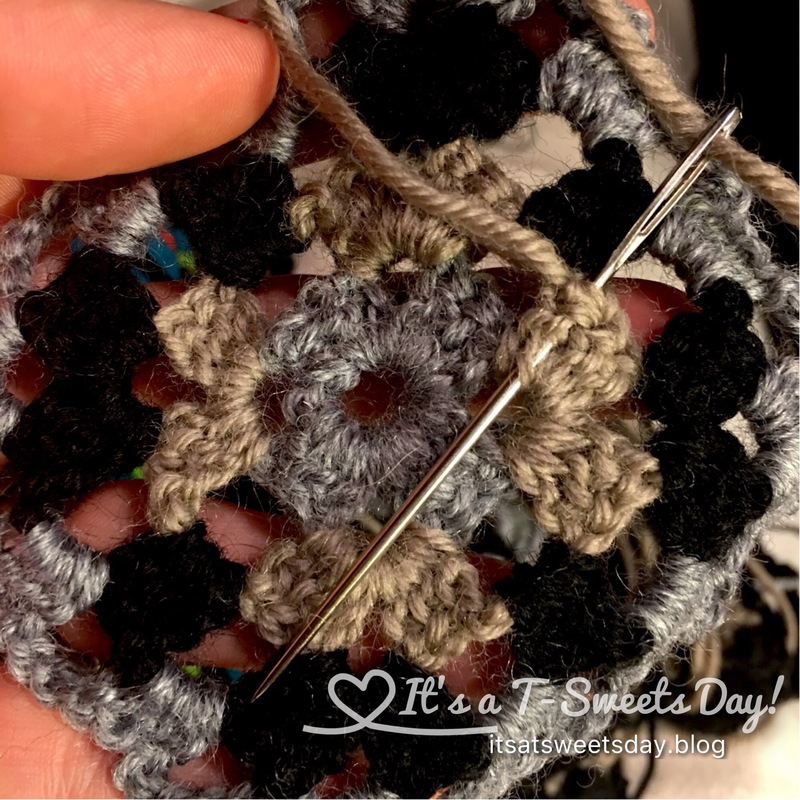 I made sure to leave the needles in place so the next block would be the same size. I did this with all of the squares. Here is the difference between blocked and not blocked. 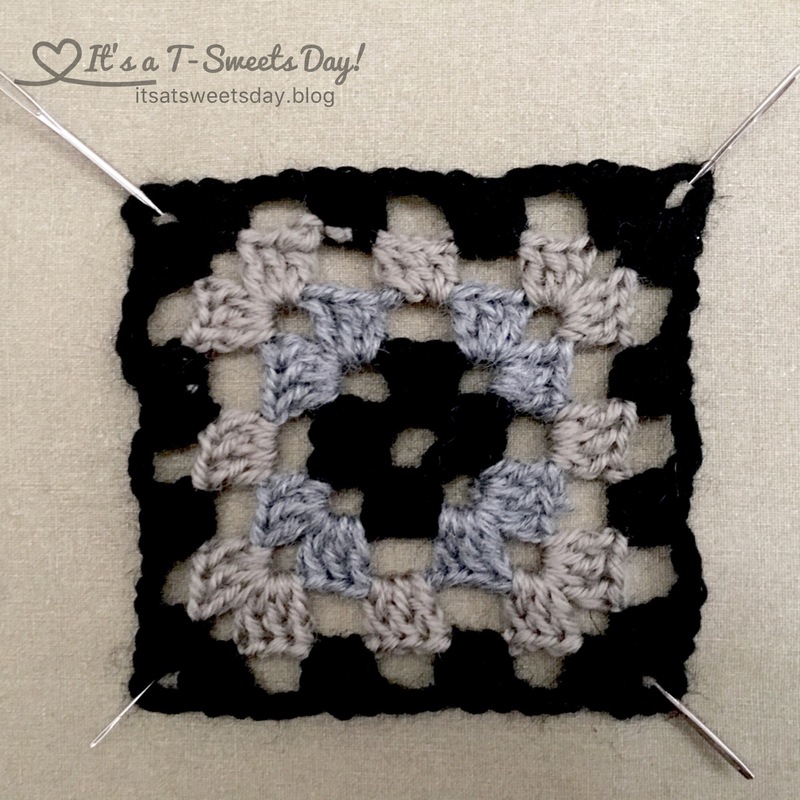 Here is another view of six blocked squares compared to six not blocked squares. Amazing! They look so pretty all blocked and stacked. Sometimes I like to just sit and look at my pretty stacks of blocks or fabric all neat and tidy:) I then started laying them out in a design I liked and started sewing them together in lines and then into a circle. 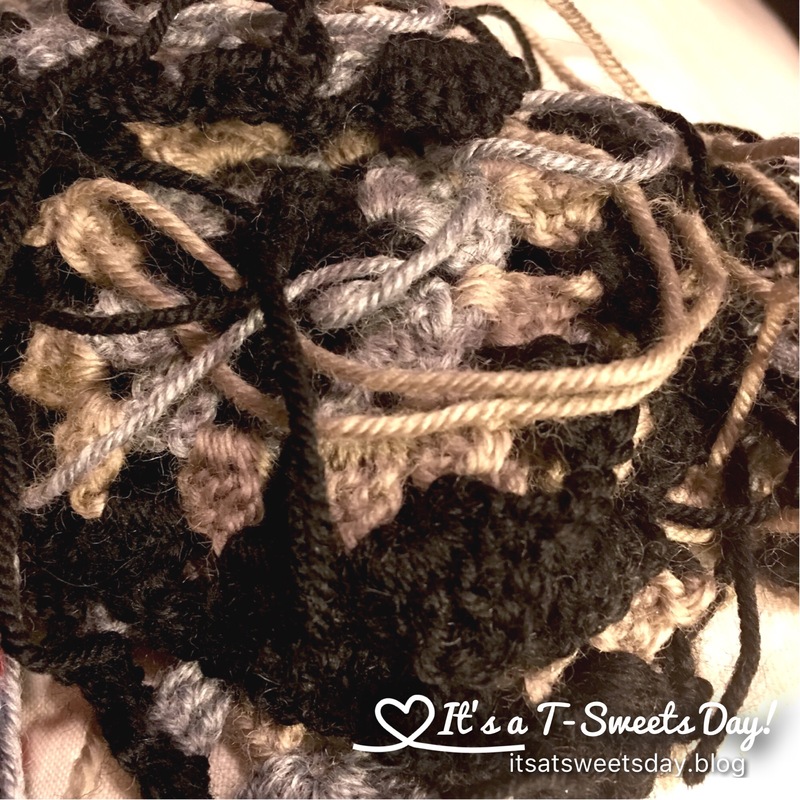 ﻿Time to move on to the main part of the skirt- I am double crocheting in rounds and only in the back loop of each stitch to get this fun stripey looking stitch. I am a bit bummed though, because I don’t have enough thread. What’s new, right? Luckily, I found the exact thread online from a shop in Europe and they are mailing me a few more skeins. Yea!! I have really been enjoying working on this skirt. It is going to be beautiful. I have been stitching at home and on small road trips. 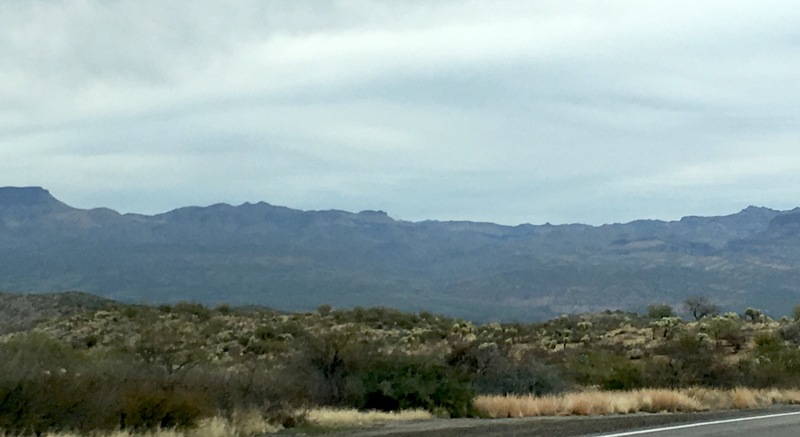 Here is a view of some of the scenery out of my car door window today. 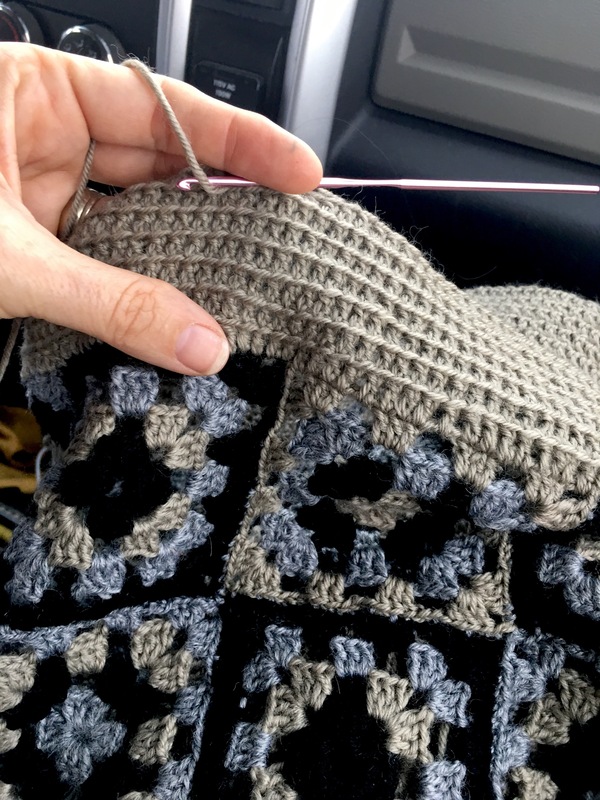 It is always a SWEET day when I can be on a road trip AND crochet! Life just doesn’t get any better than this! Previous It’s a Splendid Day Again! AND THE SKIRT LOOKS SUPERB! This is looking very smart!